Let them do what they do best – care. 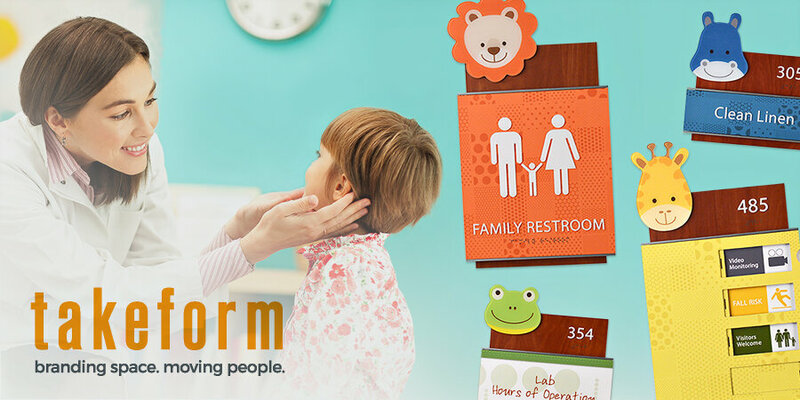 Patient care begins before entering their room. 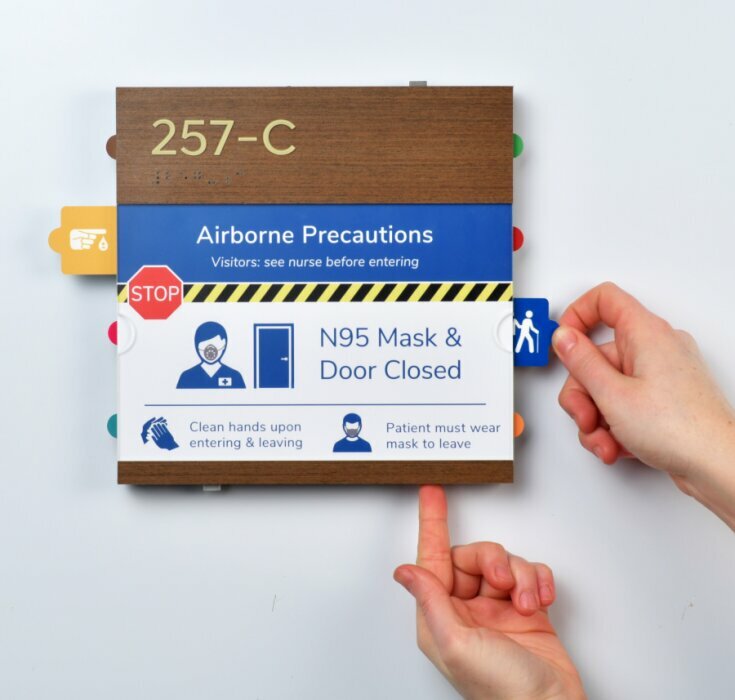 Communication is critical–staff need to be aware of patient precautions and vital information to prevent accidents, infection and all the risks that threaten patient outcomes. 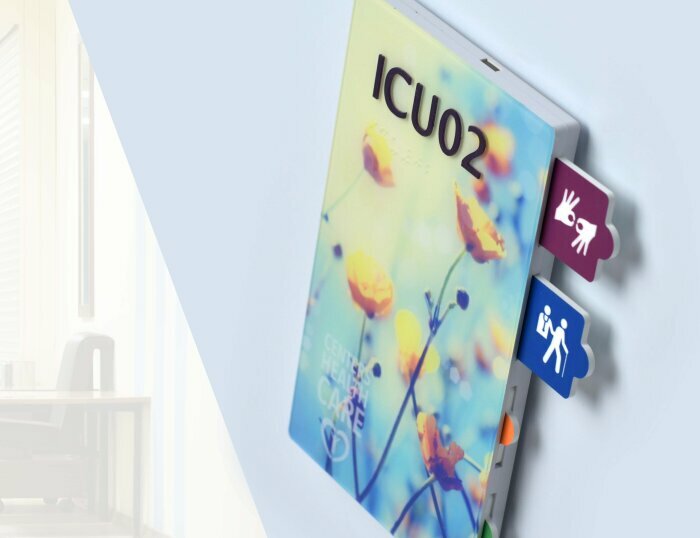 Attend Patient Room Signs are designed to help you provide the highest level of care by communicating with exceptional clarity. Now more than ever, keep tabs on them. 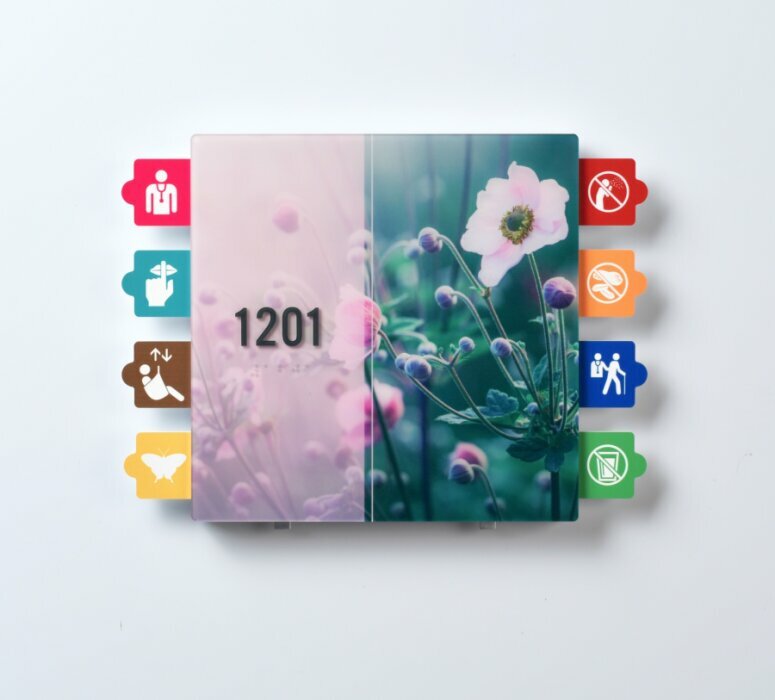 Our unique slider tabs are printed then coated with a durable protective finish to withstand the demands of today's healthcare environments. 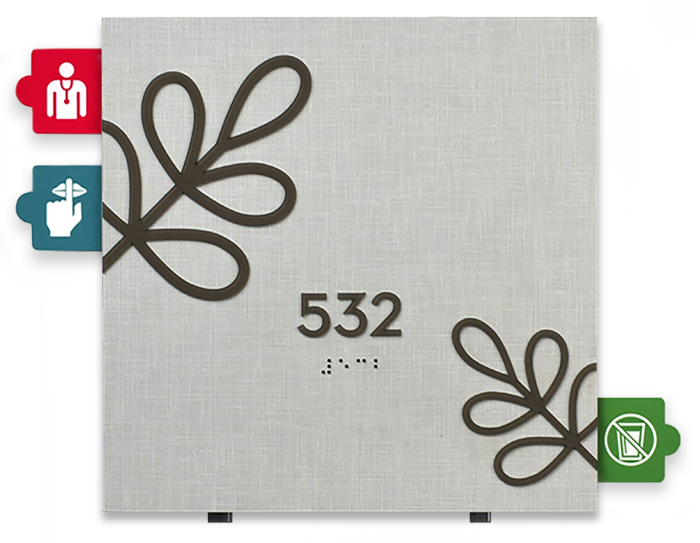 Select your configuration then choose from Takeform's wide selection of refined precaution icons or submit your own. We're here to support your unique approach to care. 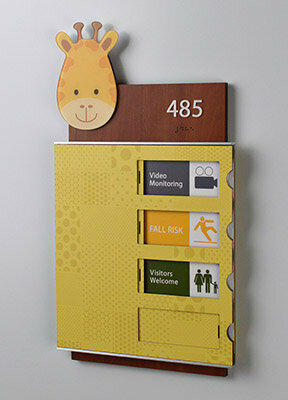 Every detail of Attend Patient Room Signs is engineered to serve you for the long term. Easily update the slider tabs or magnets whenever your care system changes. 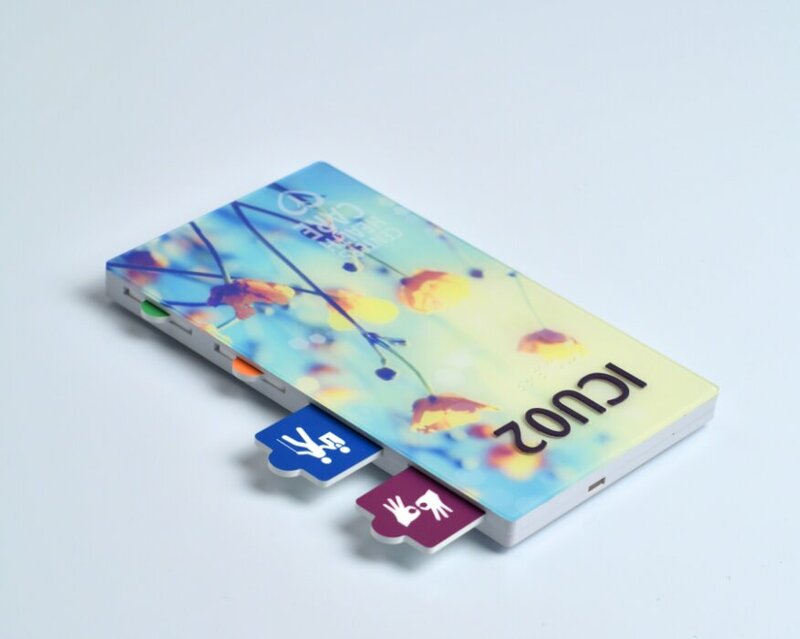 And our inserts are printed on durable polycarbonate for exceptional longevity. 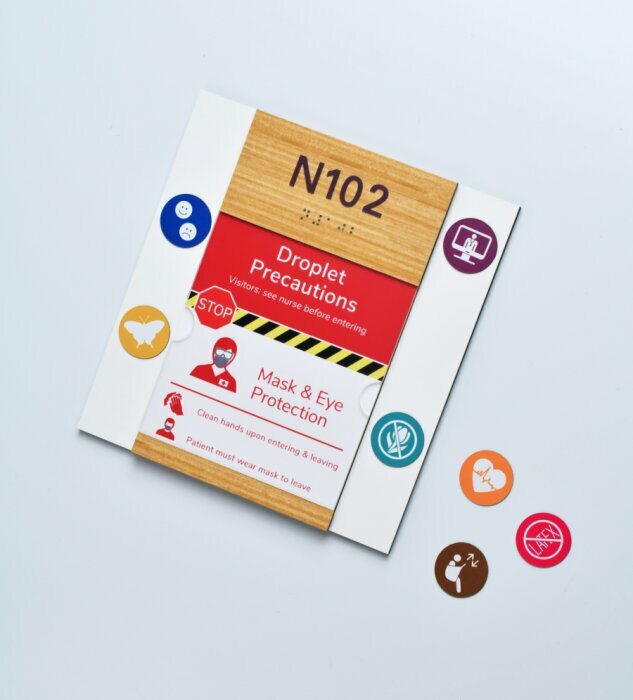 Specify Attend with any architectural finish, image or pattern. 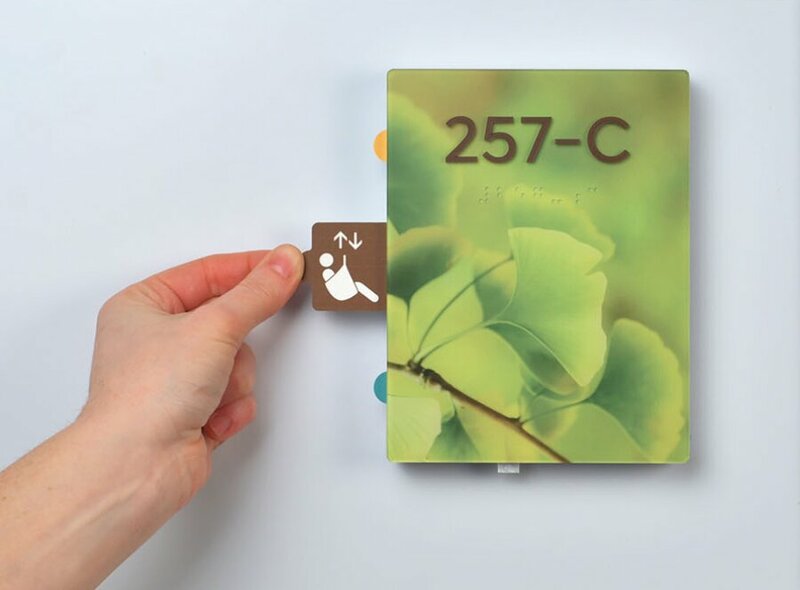 Both slider tab and magnetic options are designed to complement your space, brand or interior signage with an elevated aesthetic. A magnetic personality and more. 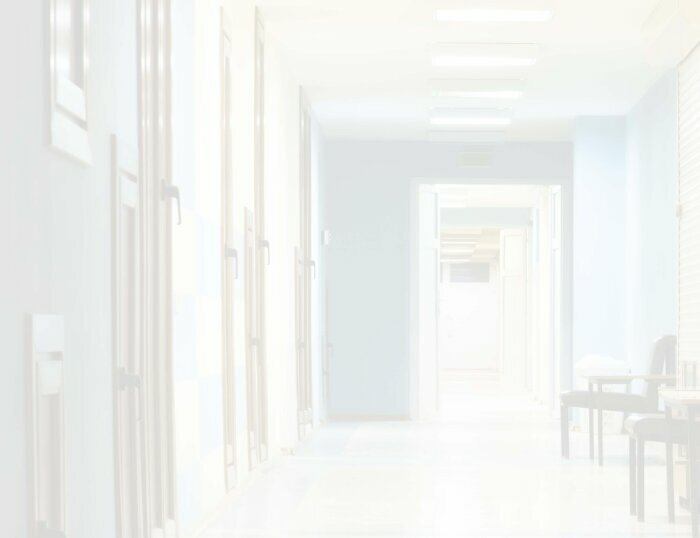 Are you in a high-turnover healthcare environment? 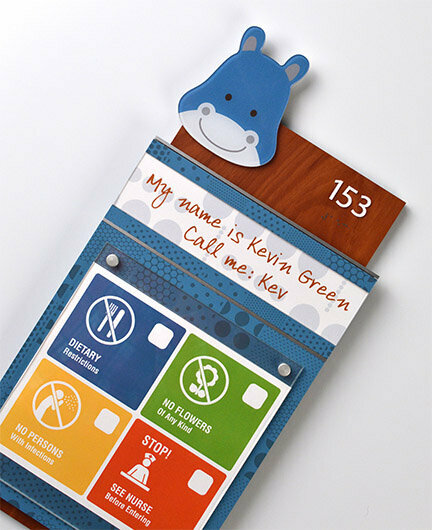 In need of a wide variety of messages for those in your care? Fast updates. Easy, thorough cleaning. 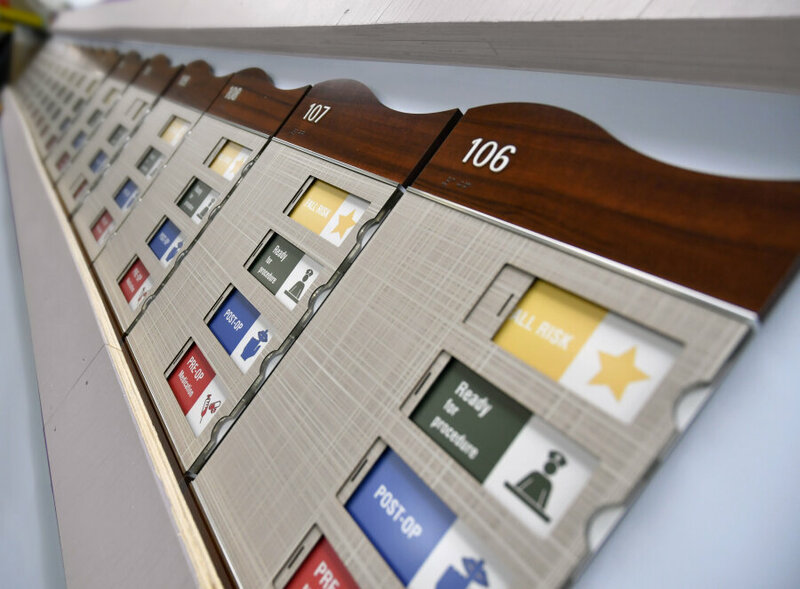 Attend's magnetic option is designed with your facility in mind. It will keep pace with you and support the way you provide care. 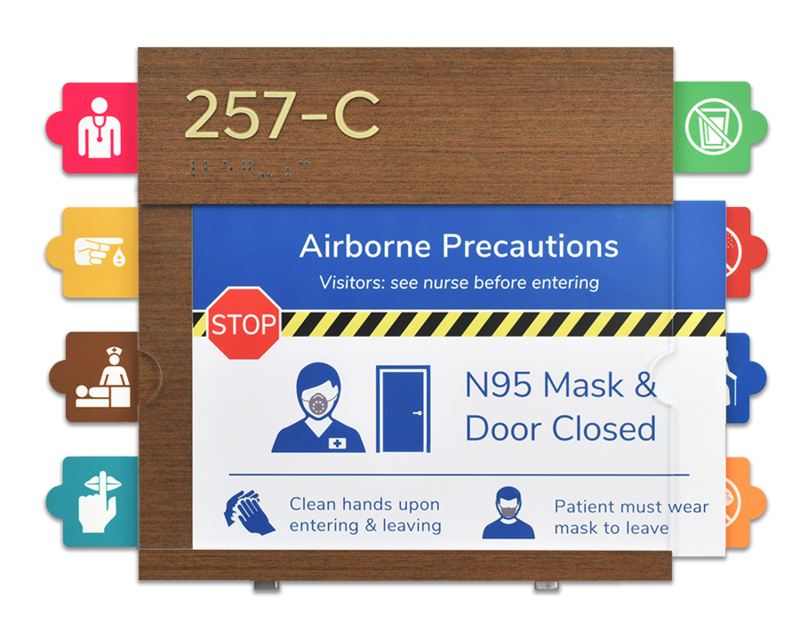 With Attend's slider tab system, our inconspicuous, easy-to-use locking mechanism allows healthcare professionals to engage the required precautions while keeping the unneeded tabs retracted securely within the sign. 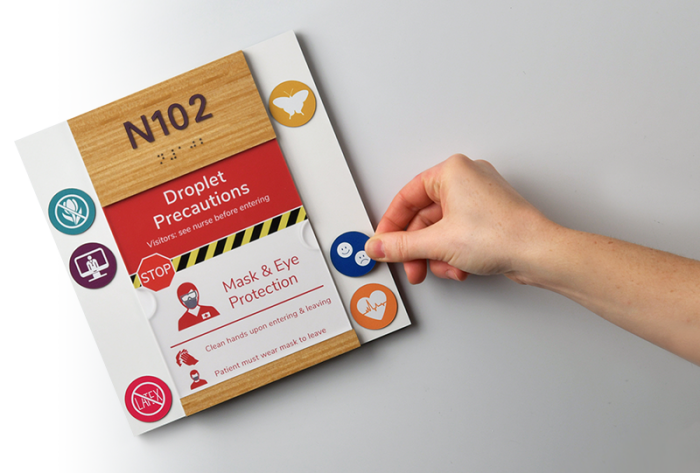 It's engineered to protect patients from unintended changes to their precautions. Built to suit your needs. Attend is designed to meet the needs of any department and the patients it serves. 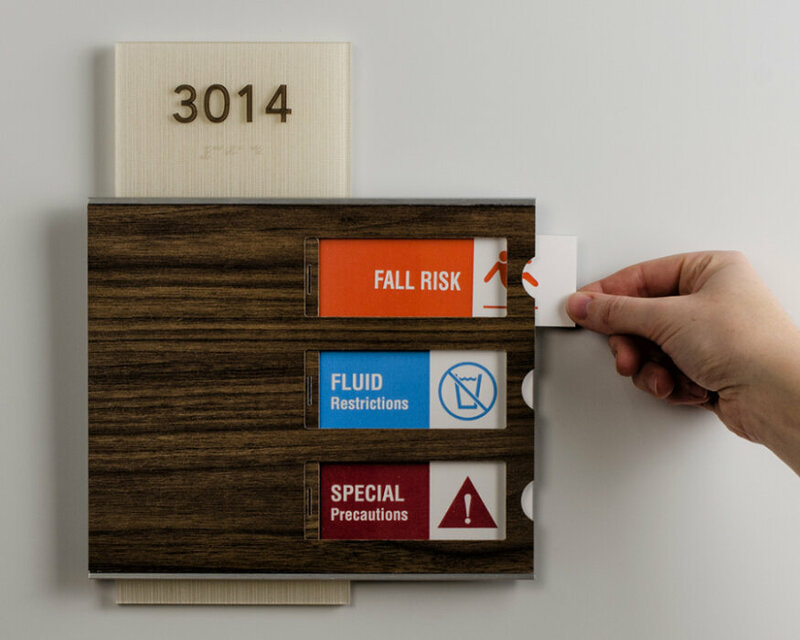 Patient Room Signs can be specified to accommodate from two-to-ten precautions per sign. Configuration options are designed to fit almost any installation location. 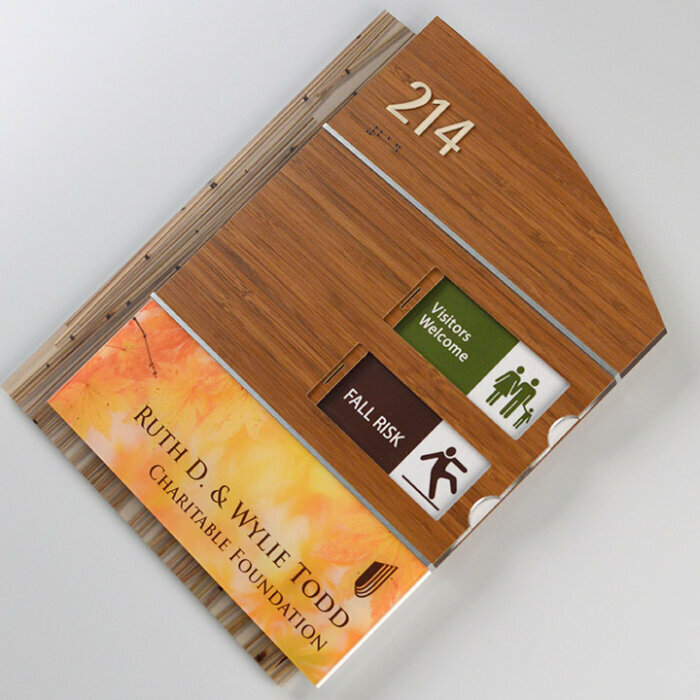 Attend is just one of the ways we design solutions with Healthcare in mind. Need to feed your imagination? Check out our Galleries.